Yet another life bird today with the black scoters at the pier. 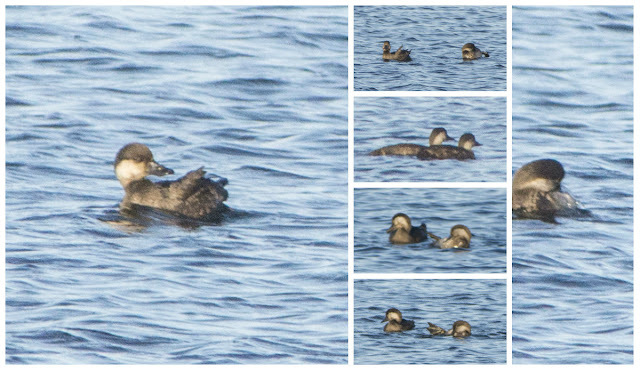 I have been lucky finding birds where they are supposed to be lately. 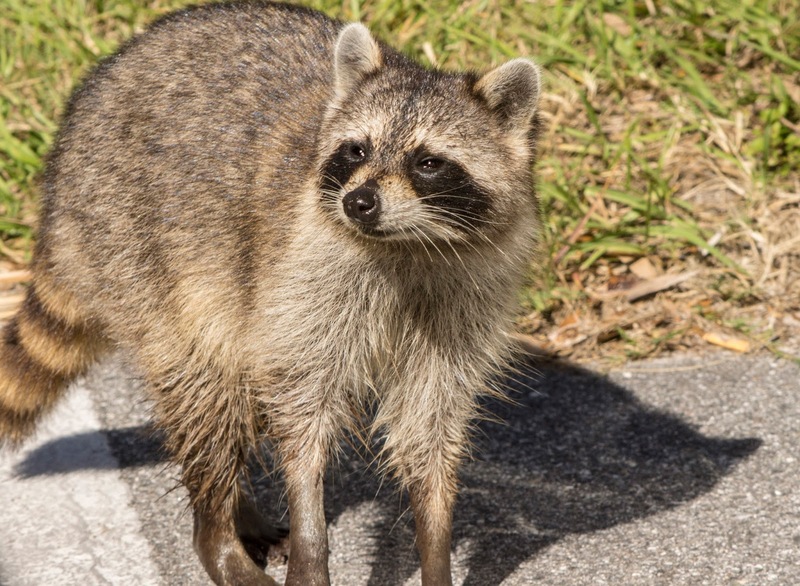 At Green Key, this cute racoon was around the parking lot area, but the beach was too crowded for birds. 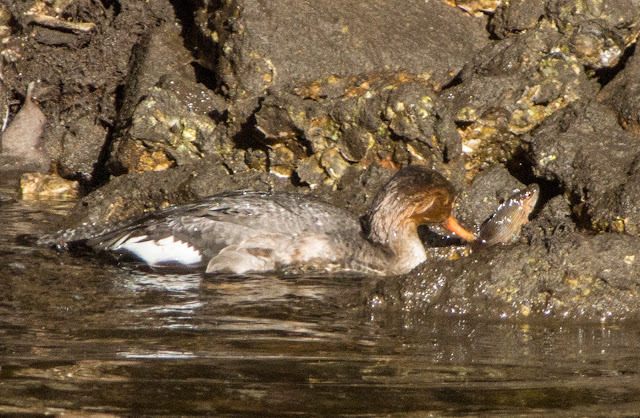 This merganser at Key Vista was fishing by pushing the fish up out of the water and onto the rocks. I have heard of dolphins doing this, but not mergansers. Pretty cool to see!